YouTube adds 4K support to its 360-degree videos | What Hi-Fi? The company seems to be looking to expand its videos to include more concerts and event streams, recorded in 360-degree 4K. YouTube has announced that it is going to be launching 4K live streaming for both 360-degree videos as well as standard videos, according to a blog post from the service's Senior Product Manager, Kurt Wilms. According to Wilms, "millions of videos" have been uploaded to the website at 4K resolution, making YouTube the "largest library of 4K videos online". 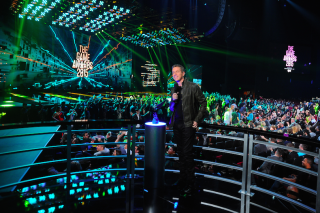 The push appears to be for more concerts and event streams, such as the 2016 Game Awards, to be recorded in 360-degree 4K. This news comes only a few weeks after YouTube announced support for HDR content on its service. YouTube first added 4K support back in 2010 and, along with streaming websites such as Netflix and Amazon Video, is one of the main services by which consumers access 4K content. The BBC is also hoping to bring more 4K content to its iPlayer service by taking an "internet first" approach.